Isode's applications can be deployed over STANAG 5066, which is essential for operating over HF Radio, and provides performance and interoperability benefits for VHF/UHF. Isode provides a GUI Console, to help set up, test, and monitor STANAG 5066 infrastructure. This is designed to support deployments of Isode applications over STANAG 5066, independent of the choice of STANAG 5066 server. Management GUI Interface independent of STANAG 5066 Server. Service Discovery of remote systems. Operator Chat using the standard STANAG 5066 protocol. 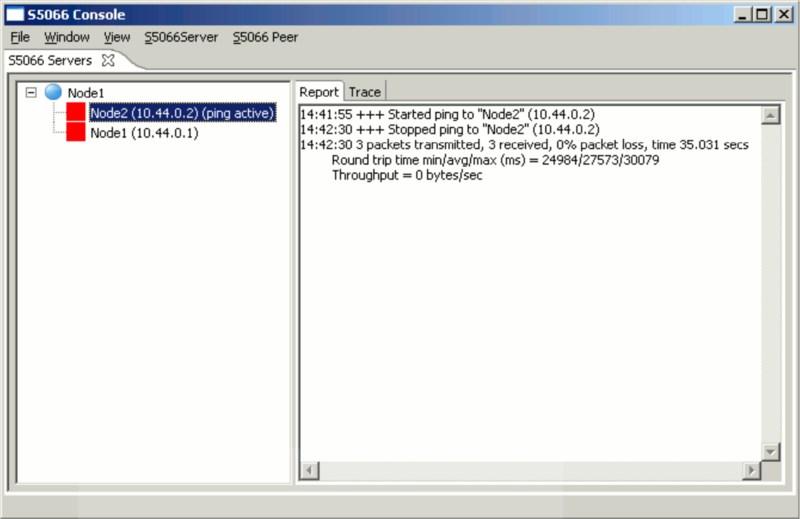 STANAG 5066 Console can connect to multiple STANAG 5066 Servers, which is useful for testing. An operational deployment is likely to use a single local STANAG 5066 server. STANAG 5066 Console can discover (automatically or on demand) the identity and operator defined names of other connected systems. This is done by use of a broadcast message, which connected servers respond to. This simplifies setup and testing of a network. Operator Chat, as defined in Appendix F of STANAG 5066, is designed to support simple operator to operator communication. STANAG 5066 Console allows easy operator chat to any peer system. It is possible to support both sides of the chat, which is useful for testing but would be unusual for an operational system. Latency test. This is illustrated above. This is using a simulator, so the times are much shorter than for one using a radio. Tests may be for a fixed number of packets or continuous. Sending is “full speed” and so tests STANAG 5066 server flow control. All STANAG 5066 parameters can be adjusted. The STANAG 5066 SIS protocol does not have any security features, so care must be taken in deployment configuration, to ensure that only trusted components can connect. STANAG 5066 Console has been tested against a reference STANAG 5066 server, and against the RapidM RM6 Server. Isode is keen to test with other STANAG 5066 Servers. Please contact us if you wish to work with us on this.